ECCO by Alessi, new in the fruit bowl range by the Italian design house comes this artistic fruit server with wonderful cut-outs in the shapes of lemons, grapes, apples, pears, cherries...and the ever-popular banana. Ecco! 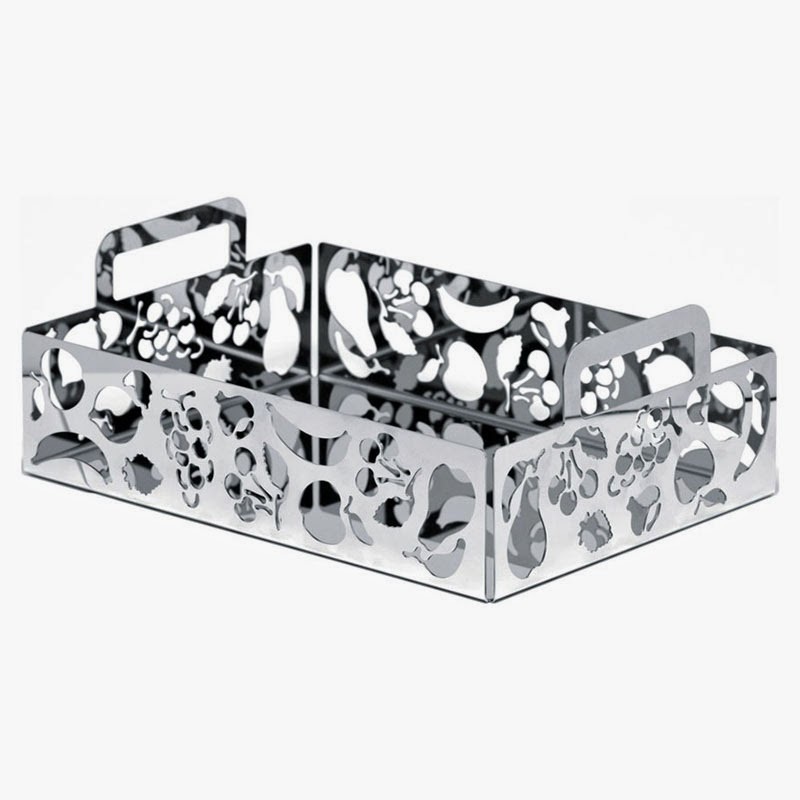 is produced in stainless steel, cut and open-worked by laser, then bent. The sides have been perforated with a lively decoration of stylized, fruit-shaped silhouettes.